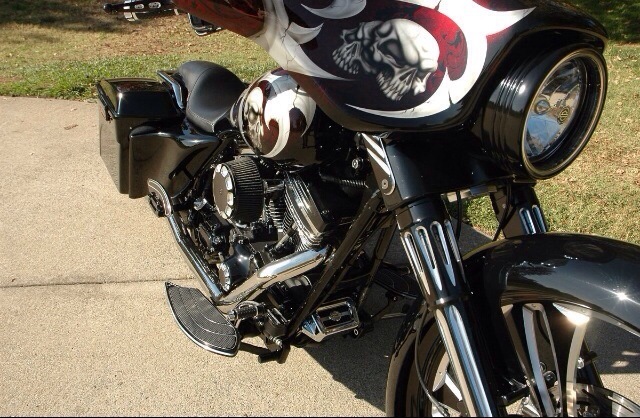 Motor is a 113 cubic inch with CNC-HTCC ported Screamin Eagle heads, 10.5:1 Arias pistons. 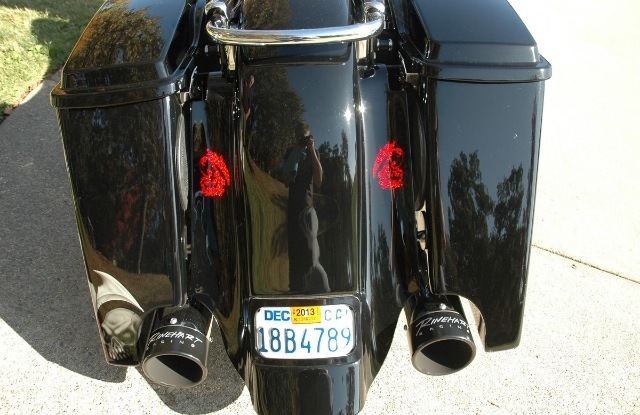 Cylinder and heads were diamond cut by Diamond Heads. 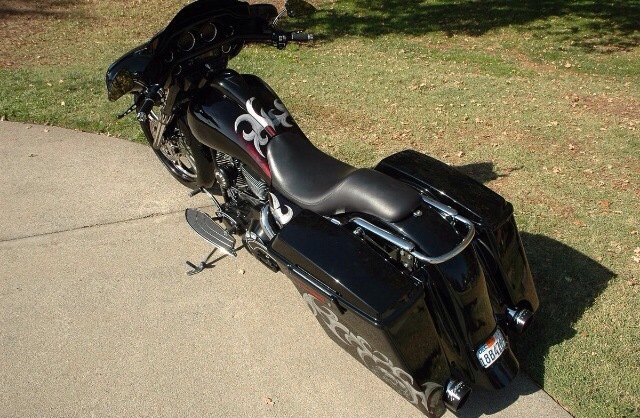 The tank, fenders, & saddlebags are Paul Yafee. 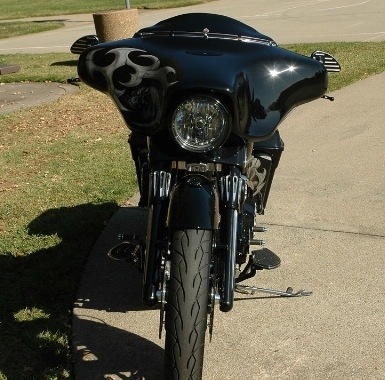 The fairing was cut and headlight reset by Paul Yafee. 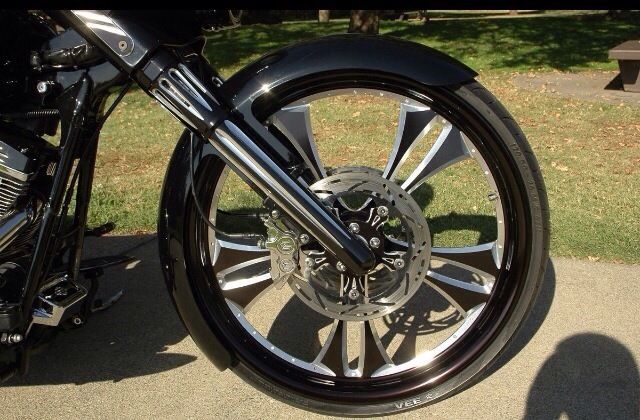 Front wheel is a 26″ and rear is 18″. 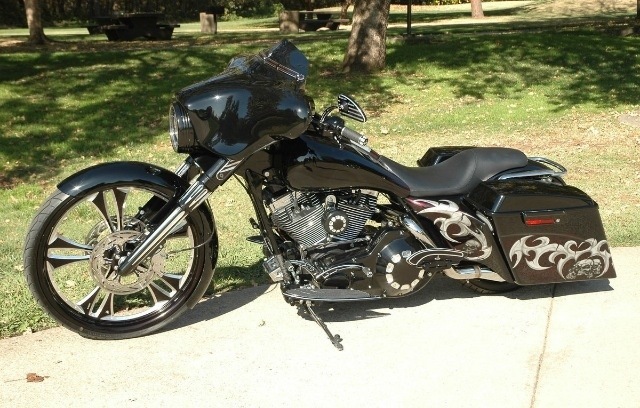 Both wheels are Arlen Ness. 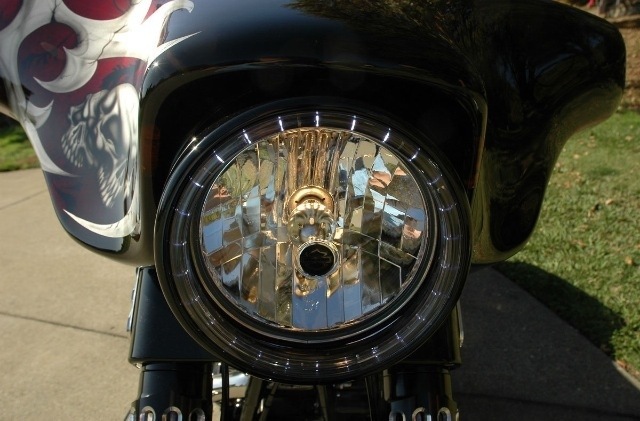 Front brake rotors are Arlen Ness as well. 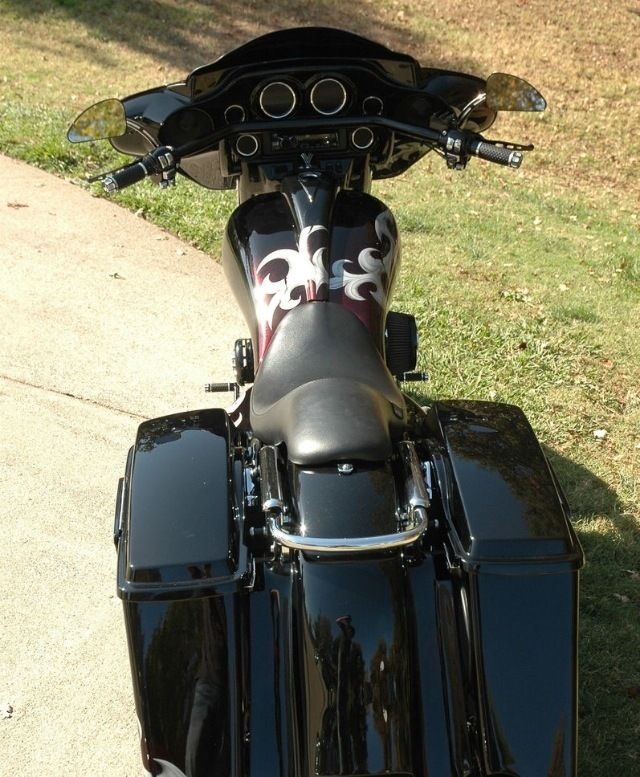 Legends air ride in the rear. Frontend was cut and raked then HHI trees were installed. 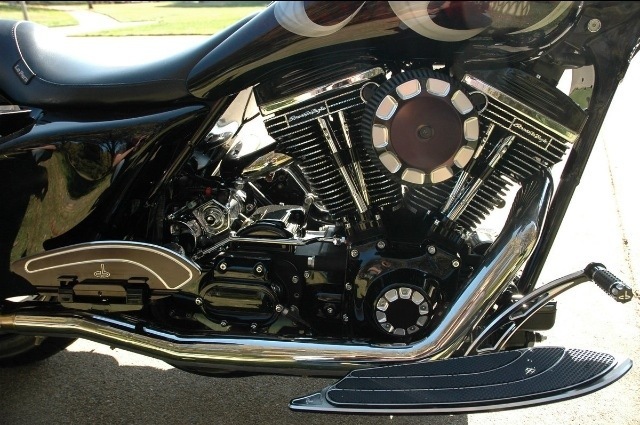 Lots of Carl Brouhard Designs parts on the bike. 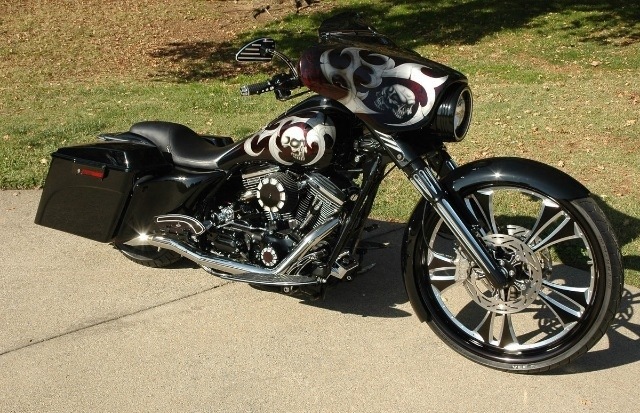 Paint was done by James Dean of Rebel Designs. New stereo installation was done this month with Arc Audio amp and Focal speakers. 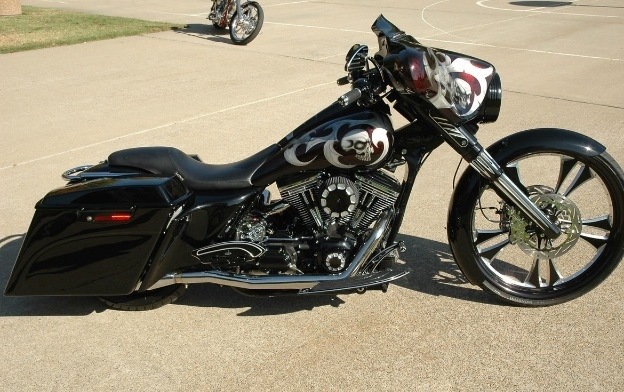 As always, Beantown Baggers has no affiliation nor connection to the seller of this bike.